NBHIS has a relationship with Columbia International College (CIC), a famous high school in Ontario, Canada. We provide both the Chinese domestic and the Ontarian senior secondary curriculum from Grades 9 to 12, making a smooth transition for students who will study abroad, helping them to face the challenges in learning, communication, and life in the future. Alongside Canadian courses, we add ESL courses, and optional courses in the curriculum. After completing 30 credits, students get Ontarian high school diploma and may directly apply to the universities from English speaking countries of Canada, the United States, Britain, and Australia. Enrollment Targets: To those who graduate from junior middle schools all over China with all-round development, we offer excellent English acquisition skills and a clear path for applying for overseas universities in the future. 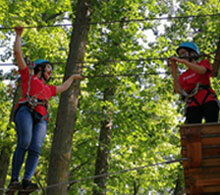 ● As the largest private junior, senior and college-preparatory boarding school in Canada, CIC offers 1800 students from more than 70 countries a unique experience of living and learning in an environment dedicated to their highest level of academic and personal achievement. ● CIC is the only Canadian school with the ASEP-Total Care Education System? created to meet the individual academic, social, emotional and physical needs of international students who live and study away from home. ● 100% of Columbia graduates are accepted to universities and colleges in Canada, the USA and around the world. More than a dozen of these universities have signed on as official “university partners,” offering special awards and guaranteed admission to Columbia graduates. ● More than 80% of Columbia graduates earn millions in scholarships to attend some of the most prestigious universities in Canada and around the world each year. We have a Canadian education-based curriculum with carefully planned sequence of instruction. 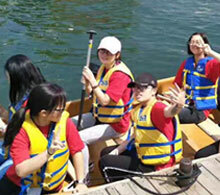 We offer enriching elective courses for Chinese students, which complement the Canadian offerings. The Canadian curriculum is accredited internationally. After earning 30 credits, students gain a high school diploma registered in the Ontario area and accredited in North America. Due to the smooth transition from NBHIS to Columbia College, parents can feel secure that students’ pathway is clear and manageable. The first two years in NBHIS are controlled language acquisition in an international education system. The transition to Columbia College provides students with an independent boarding school lifestyle, plus awesome living experiences. 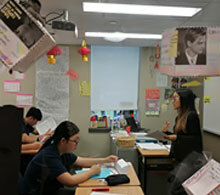 Our Sino Canadian program offers comprehensive education and integrated development. We aid students in finding out their way of development through growing self-perception and wise course selection. Through their summer camp and extra-curriculum opportunities they build their adult personalities. We have positive mutual communication among teachers and students, which means there is multi-cultural guidance for character development. We make them ready for the global experience of life. PE Students earn 30 high school credits to gain a high school diploma from Canada, which is accredited all over North America. They begin their credits in the first two years at NBHIS, and finish them in their final year at CIC in Canada.